cutout cookie (with carbalose flour) | what is clara eating today? i have so many dessert/snack recipes since that’s what clara is mostly focused on =) Here is another take on a cutout cookie using carbalose flour. The icing i have used here is Dawn’s icing recipe. I just added coloring & flavor. 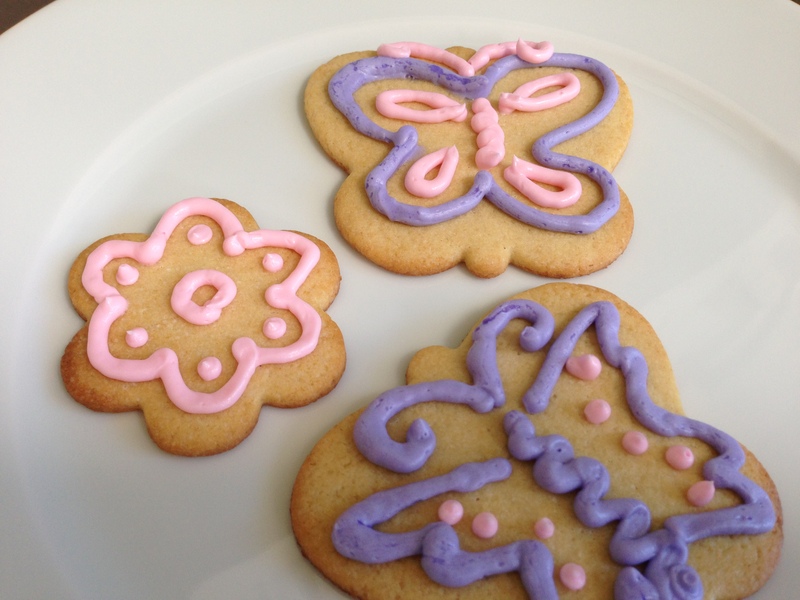 I had to whip it quite a bit to get a good consistency to decorate the cookies, but it was worth it given how pretty they turned out and how Clara just loved it. 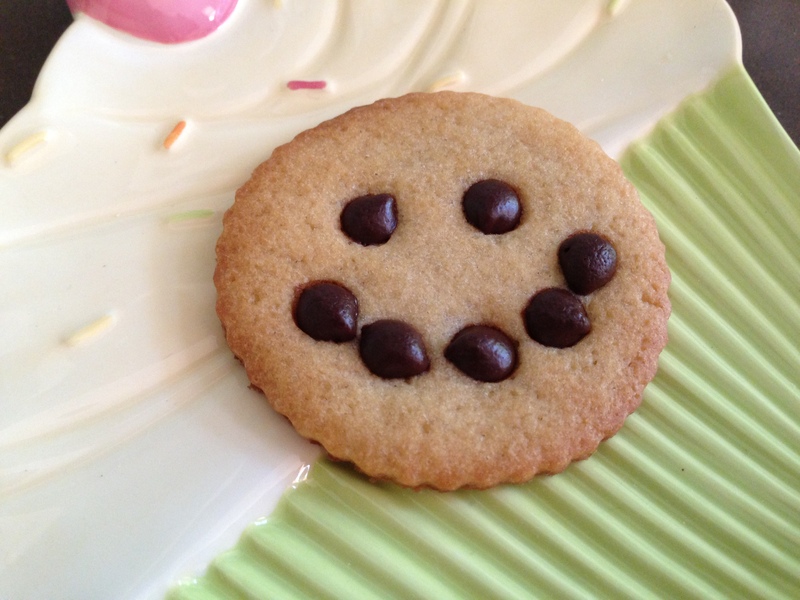 For the smily face cookie, i used Nevada Manna mini semi-sweet chocolate chips. Place them on the cookie before baking. Once the cookie cools completely, the chocolate will harden too. Mix butter, Truvia, egg and vanilla flavor with a mixer. Add the dry mixture and mix well. Wrap the dough in a plastic wrap and refrigerator for 2-3 hours. Roll out the dough to 1/4in thickness. Cut out cookie. Bake in preheated oven at 375 for 4-6 minutes.